Fortunately, companies can make a big difference by offering employee reward and recognition programs. These programs are usually not that expensive to implement or operate and can pay huge dividends in employee engagement and retention. Here are a few tips for improving employee engagement with rewards and recognition. 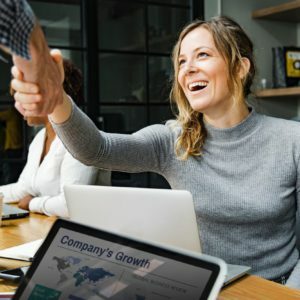 The Gallup study, released in mid-2016, indicates that just one out of three U.S. employees strongly agreed they had been given praise or recognition within the past seven days. Improved individual productivity. Recognizing and celebrating desired behavior increases the likelihood that others will replicate the behavior. Reinforcing behavior that drives the company’s mission is a clear way to accentuate what is important. Employee recruitment. Candidates who learn about robust recognition programs are likely to be more inclined to pursue employment. Employee satisfaction. Employees who feel appreciated will enjoy their work more, focus on the tasks at hand, and not partake in complaints and gossip. Better feedback for individuals and teams. Better customer relations. Improved productivity and attitude will be reflected in customer loyalty and satisfaction measures. 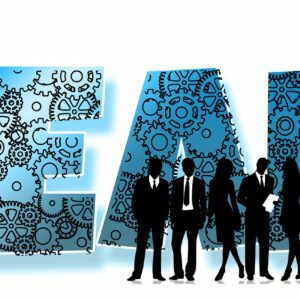 More effective teamwork among employees. Improved workplace safety and fewer accidents. Less absenteeism and employee stress. Boosted employer brand. Employees talk about their employers. A strong employee recognition program means those outside the organization will have a more favorable impression of the company. More information. Data on employee recognition and rewards programs can be used as a part of evaluating performance, compensation, and hiring decisions in the future. Have a strategy. Even simple recognition programs need to be framed by a broader strategy and metrics that will gauge the program’s efficacy. Senior leadership buy-in. Too many times, a planned recognition program runs off the rails when senior leadership was not informed and brought into the loop early. Top managers who endorse and support the program, and speak about it, can be powerful voices that lend weight and seriousness to the importance of the initiatives. Respect differences. Make sure that generational and cultural differences are considered with recognition programs. Check with compensation. Different states have different regulations and laws when it comes to recognition. Be sure that compensation rules are followed when providing recognition that can be construed by the IRS or others as income. Mix it up. Consider offering monetary and non-monetary rewards. An extra day of vacation can be just as meaningful if not more so than a gift card. Communicate regularly. Guidelines for such programs need to be specific, explicit, and clear. These guidelines should be shared broadly and regularly. To be effective, consistency needs to be applied when selecting recipients. Broad eligibility. All employees should be eligible for the programs. Tie it to performance. Whenever possible, provide the recognition as close as possible to the performance that merited the honor. Relevancy matters. Apply fairly. If recognition is triggered by reaching a certain individual milestone, then every employee who reaches that milestone should be recognized. Popularity contests are not good. Putting recognition honorees to a vote is often a bad idea. It can lead to the most popular, visible, vocal, or political employees winning, sowing seeds of discontent among others. Make rewards relevant. Your rewards need to have relevance and appropriateness. Do not exclude employees who work different hours. Do not suggest a happy hour for the recipients if any of them have childcare obligations that are difficult to rearrange. Be consistent. Leadership needs to decide if it will allow for different recognition programs for different units, divisions, or departments. It is always better and more equitable to have one centrally organized recognition program that ensures seamless messaging, delivery, and tangible rewards. Use technology. 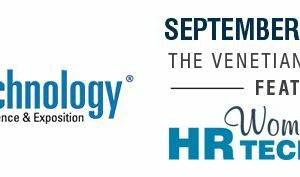 Talent management systems can be effective ways to track programs, measure progress and analyze the impact of employee recognition programs. Thanks so much. I will try to get the name fixed … thanks for letting me know. Love the way you write; straight to the point! I agree with the assumption that rewards and recognition will help increase motivation. Your bio is missing the J in your name, so it says “udith”! Haha, but otherwise, this article is perfection! I like the succinct bullet points. Humans love praise, and it increases intrinsic motivation (the best). You can’t force engagement. Hire the right people, follow up with them (like this: http://recruit.ee/bl-hiring-geckoboard-eb-bh), and use your tips, and you’re good.